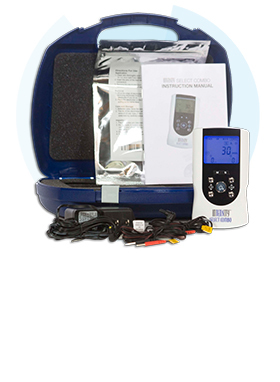 Discover the Lead-lok advantage: Silver Electrodes give you the best performance for all TENS Unit & Muscle Stimulator Electrotherapy applications. 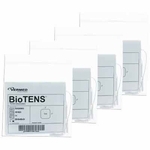 These TENS electrodes feature a silver-coated pure carbon pad and copper lug contact for dramatically better charge distribution and delivery, durable backing, American-made multi-use gel, and molded pin-style connectors. 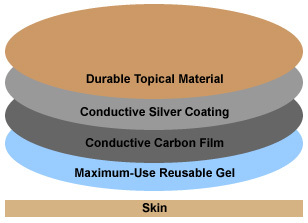 Silver-coated, solid-carbon, cloth mesh-backed electrodes. 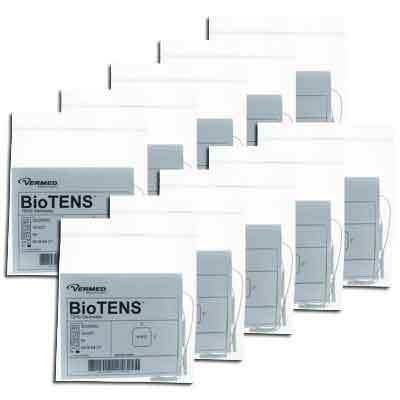 You simply cannot buy a better TENS Unit Electrode! 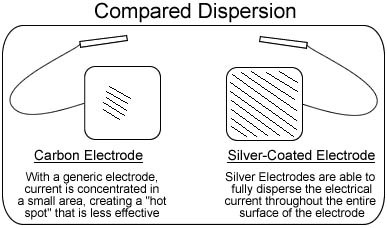 Superior silver-coated electrodes deliver more current with better distribution across the entire pad. Molded wire connector for reliability and durability. 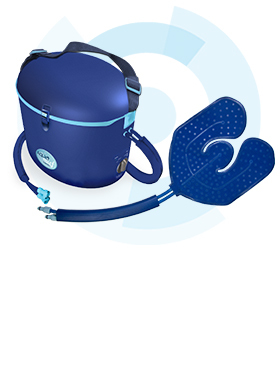 Flexible solid-carbon pad for maximum charge delivery and comfort. White Cloth-Mesh backing for comfort and durability. 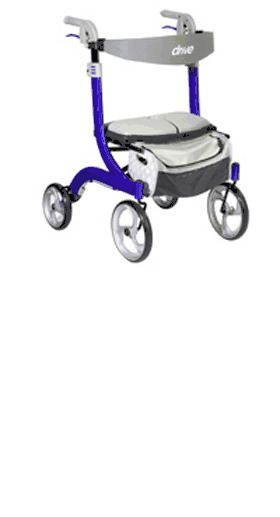 US made high-stick Ludlow Gel for up to 15-20 uses. An electrical current is passed through each electrode for a period of 60 seconds. The electrical voltage output is identical for each electrode. The shaded area shows the current being dispersed through the electrodes. 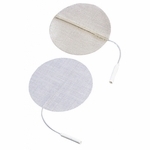 Because of Lead-Lok's unique manufacturing process, these electrodes are able to fully disperse the electrical current across the entire surface of the electrode. We also use copper lead wires with special heads that help promote greater dispersion and prevent wire pull out. Finally, we use only the finest gel on the market today for greater reusability and superior performance. 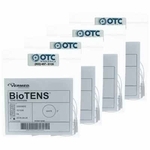 You simply cannot buy a better TENS Unit Electrode! Clean and dry application site as needed. Open the pouch. Save pouch. Remove electrode from package and peel electrode away from release sheet. Save release sheet. If electrode seems dry, add a few drops of water to moisten. 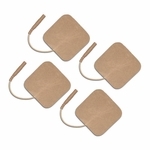 Place electrode on exact skin location (this should be determined by a licensed practitioner or therapist). Apply finger pressure to electrode edge and lightly press entire electrode to assure adequate contact with patients skin. 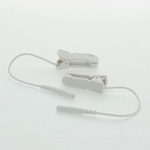 Attach electrode lead wires to electrical stimulator/therapy device. Disconnect lead wire from electrode(s). Remove electrode from patient by lifting edge of electrode, not by wire. 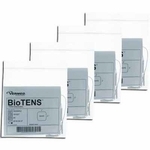 For storage, replace electrode on release sheet and into pouch. Re-seal package, and store at room temperature. 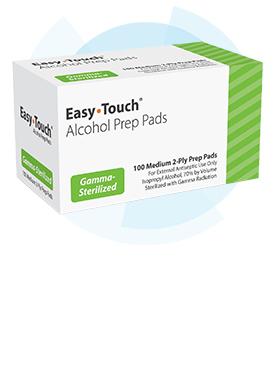 Discontinue use and notify licensed practitioner or therapist if rash develops. 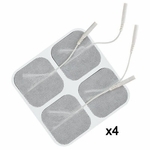 Electrode size, shape, and type may effect the safety and effectiveness of treatment. Using an electrode size or shape not recommended by the device manufacturer or your practitioner may result in thermal burning. Federal law requires sales to be by or on the order of a licensed practitioner or therapist. 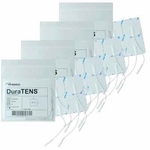 Electrodes should be replaced periodically when they lose their adhesive quality.